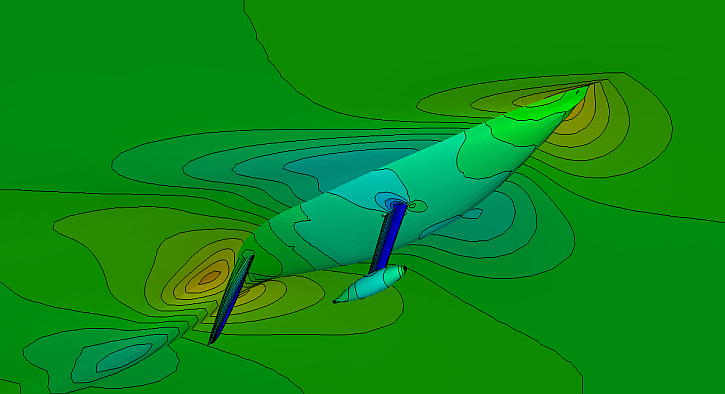 Flow simulation has been making major inroads into engineering processes in recent years. Typical applications range from internal flows (e.g. in piping systems) via external flows (e.g. flow forces on aircraft, cars and ships as well as comfort factors due to draught or contaminant distribution) to chemical processes like combustion. Due to the wide range of possible simulation tasks, various approaches are available, offering different capabilities at different degrees of accuracy and computational costs. 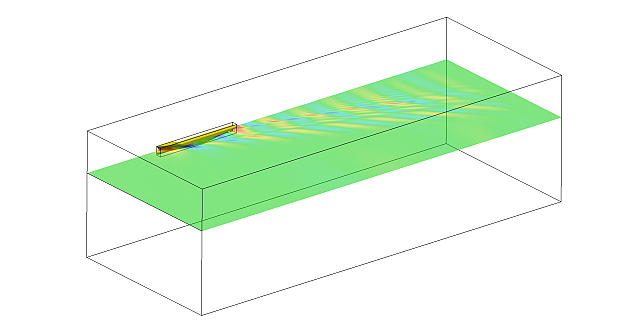 We offer flow simulation by two methods: RANS simulation of viscous flow and Panel Code simulation of inviscid flow. The choice of the simulation method depends on the question at hand and the scope of the project. While Panel Code simulations offer an inexpensive way to compute the attached flow around e.g. 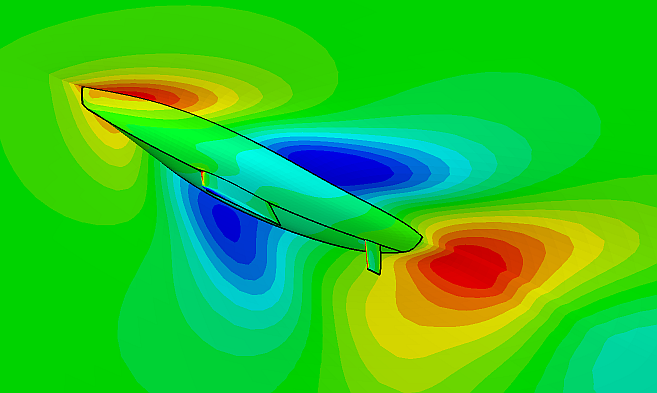 a hull, RANS simulations are the method of choice if viscosity effects or wave breaking are relevant for the results or highest accuracy is sought after. Typical applications of RANS simulations include e.g. the flow around ship hulls, wave loads on structures, wave propagation in coastal structures, airflow around buildings and superstructures or flue gas distribution. Our main workhorse for RANS simulations is the open-source CFD-“toolbox” OpenFOAM* with a significant number of extensions particular to out typical tasks. 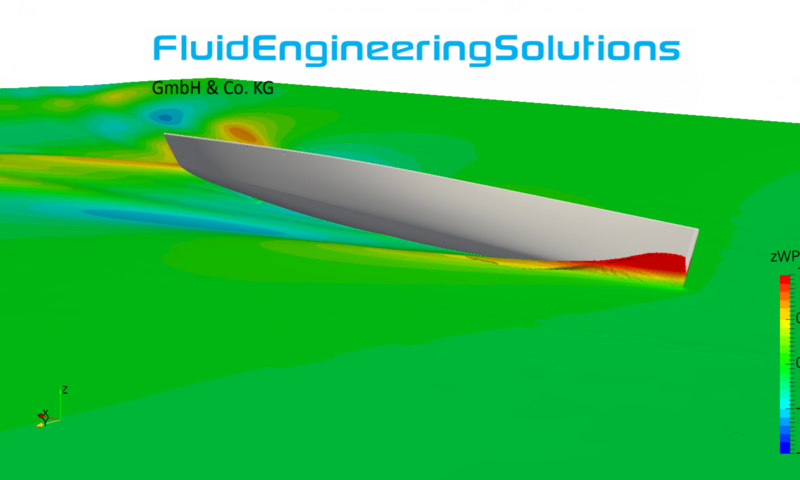 For potential flow simulations we use the panel code SPLASH which has been proven in various America’s Cup campaigns and other Grand Prix applications. With the potential flow code already giving quite accurate results for attached flow around clean geometries, the best compromise of accuracy and economics can often be achieved by running both methods in tandem. With such a setup qualitative comparison of design variants using large test matrices is accomplished using the potential flow code while selected significant gemetries and operating conditions are re-checked using the RANS code to provide a measure for the total accuracy of the investigation. Please contact us with Your particular tasks! *Our services are not approved or endorsed by ESI Group or ESI-OpenCFD®, the producer of the OpenFOAM® software and owner of the OpenFOAM® trademark.